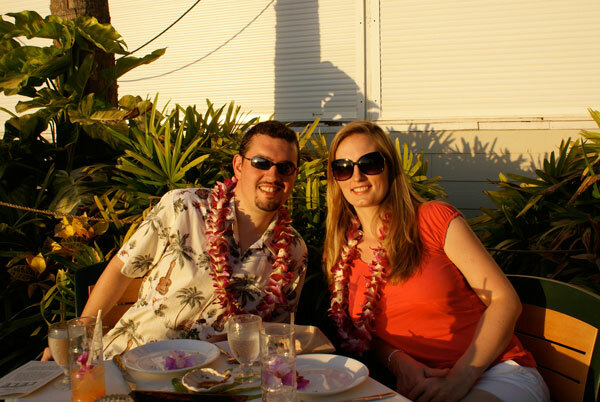 Sarah & Peter's Wedding Blog » Blog Archive » Hawai’i – Heaven on Earth! 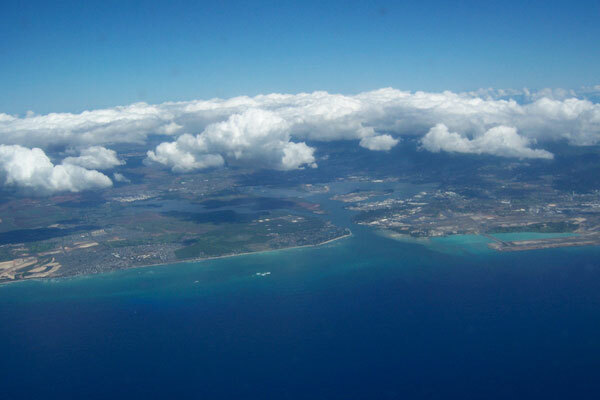 Hawai’i – Heaven on Earth! We were too busy enjoying ourselves in Hawaii to write in the blog and once we got home, we got caught up in all new things to do. Well, two months after our return I’m finally writing about it. I hope it will be easier now to summarize everything. If I had tried to write about it all as soon as we got back, you would be reading for hours! 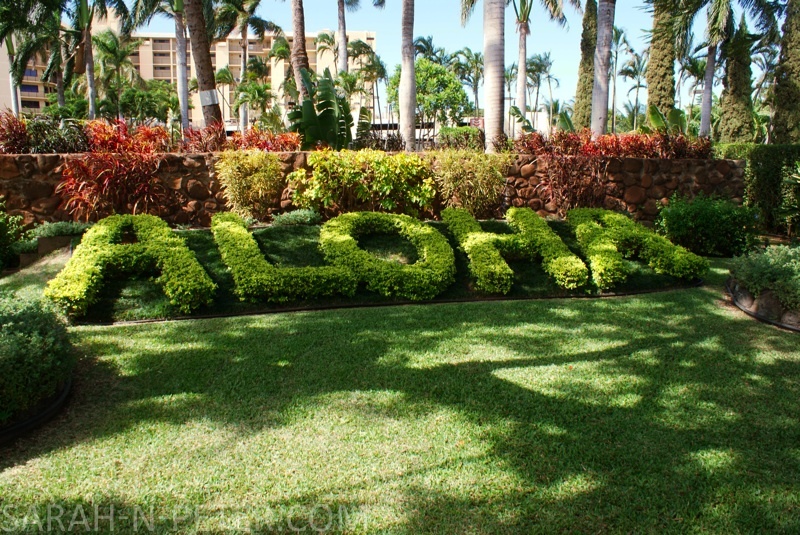 Our trip to Hawai’i included three islands: O’ahu, Kawai’i and Maui. O’ahu is where the capital city Honolulu is and the busy Waikiki Beach; Kawai’i is the less developed, lush, natural beauty; and Maui is the tourists heaven with lots of activities and the 10,000+ ft volcano top of Haleakala looking down over everything. 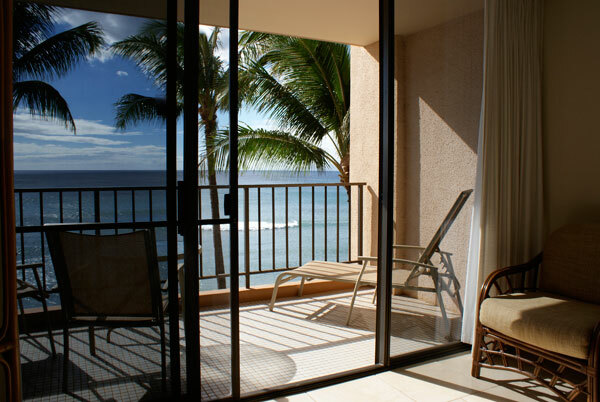 We first flew in to Honolulu and spent a night in a fancy high rise hotel in downtown Waikiki Beach. We had delicious blackened mahi and walked around Waikiki – like 5th Avenue Manhattan only clean and with a beach a block away. We got up very early the next day and spent the morning at the USS Arizona Memorial at Pearl Harbor. It’s hard to know what to say about it, but it was a very powerful experience. That night we watched the sun set over the ocean and looked out at the city from our balcony. The next day we flew to Kauai’i, where we stayed for almost a week. Kauai’i is known for its wild roosters, which we saw even at the airport. At first, it wasn’t entirely obvious what we should do. 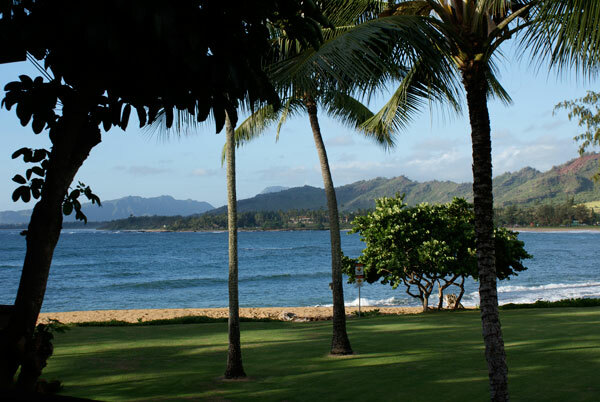 Kaua’i has a quiet, small town feel with only one main road on the island and it only goes around about half of the island. The other half of the island is the Napali Coast, which is rain forest and only accessible by foot or helicopter – it’s also where the opening scenes of Jurassic Park were filmed. We stayed in a little town called Kapa’a, right in the middle of the accessible part of the island. During our week in Kaua’i, we drove up north and saw dry and wet caves that disappear into the distance as well as a series of one lane bridges, that exemplify the island. People are courteous to each other and take it slowly. We made it to the end of the road to the famous Ke’e Beach. It was very rainy the day we went, so we didn’t get to take advantage of it. Another day, we drove to the south end of the island and then into the mountains. 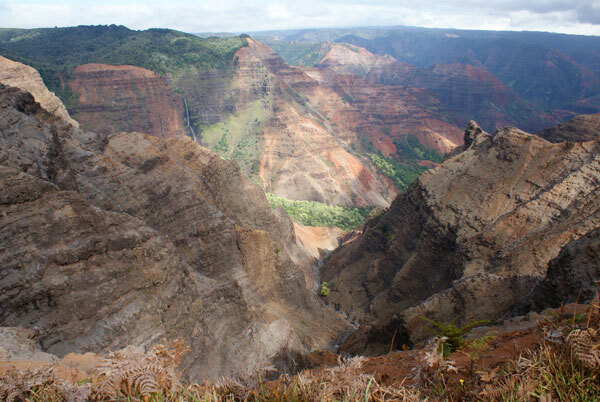 We saw Waimea Canyon, nicknamed the “Grand Canyon of the Pacific” and then hiked down to the Napali Coast. When we looked out in the distance from the trail, it was hard to tell where the ocean ended and the sky began. 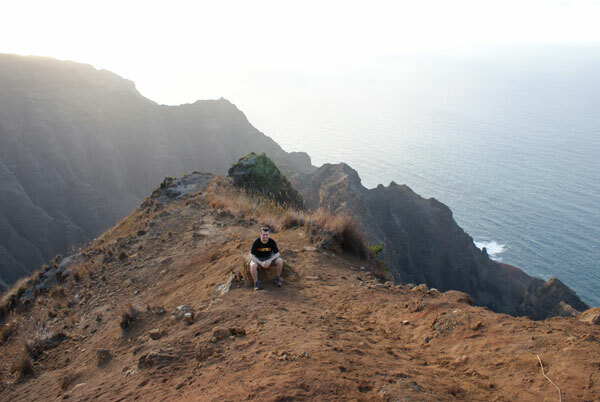 It was even more breathtaking when we got to the end of the trail, where there were 2,500 foot cliffs to the ocean below. We barely made it back to the car because the sun set while we were still hiking back. When the sun sets in Hawai’i, you have about 10 minutes until the sky is black! As we started our drive down from the mountain, we pulled over and watched the stars. It was incredible! I’ve never seen the sky like I did there. We saw shooting stars and tiny distant stars filled the sky like dust. Another day in Kaua’i, we saw an 80 foot waterfall and the village of Kamokila. 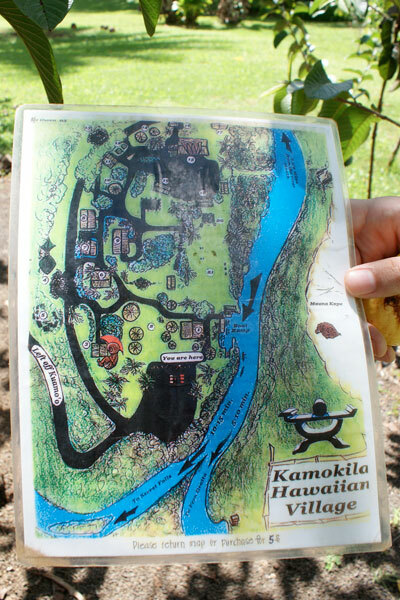 The village is recreated to show how ancient Hawaiians lived. 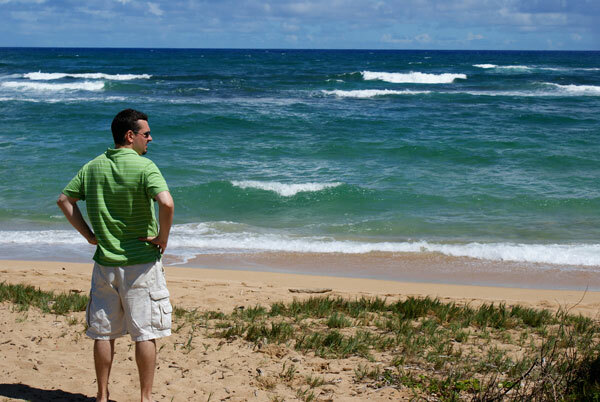 Though Ke’e may be the most famous beach on Kaua’i, I think our favorite was the Lydgate State Park Beach. It was much sunnier and the water was a beautiful almost clear blue-green. On our last night we went for Lomi Lomi massages, which were in a mountain-side house in a room where one whole wall had doors that opened on to the lanai. We could hear the sounds of nature (even some distant roosters) as we were massaged. At the end of our time in Kaua’i we were totally relaxed, and so happy that we still had a whole week left to go in Maui. Quite the opposite of Kaua’i, as soon as we got to Maui we were overloaded with possibilities. During our week, we ended up going to a luau, watching the sun rise above the clouds from over 10,000 feet, taking a tour of a working Hawaiian plantation, snorkeling with sea turtles, watching a pod of spinner dolphins, zip lining in the mountains, hiking in the rain forest, swimming in a waterfall, visiting artists’ studios, going to a stage performance and meeting the cast, and of course hanging out at the beach. We booked our luau as early as possible, because we were really excited about it. We decided on the Feast at Lele. The food and drinks were delicious and the show was great. We even had table-side service. 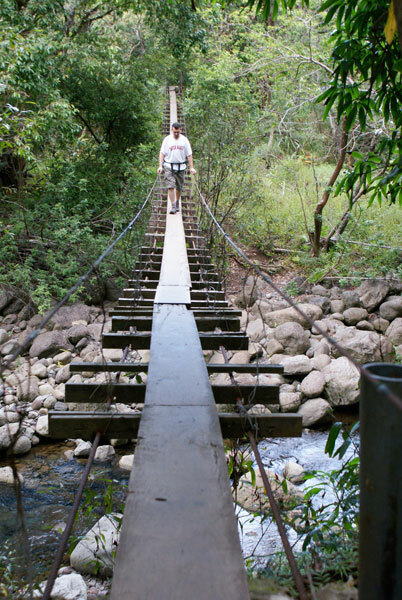 Another fun trip was a hike in the rain forest, which the locals nickname the trail “Rusty Bridges.” There were two swing bridges that we had to cross and they were quite scary! It was very humid in the rain forest, so when we got to the waterfall at the end we jumped right in! The water was coming down from the top of the mountain so it was freezing, but it felt wonderful and made hiking back to the car much more bearable. 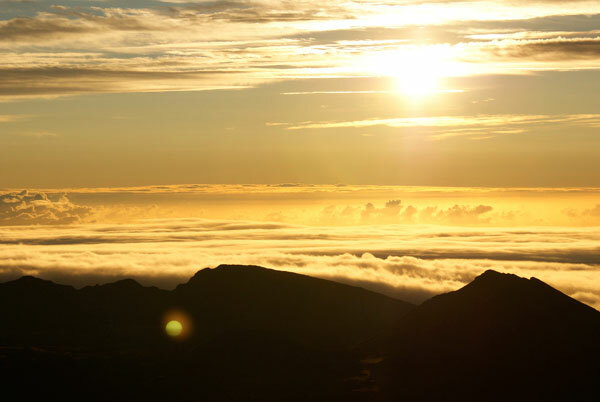 One of the things we knew about ahead of time and were really looking forward to was going to the top of Haleakala to watch the sun rise above the clouds. It was stressful (getting there), but incredible once we made it. We had to leave at about 3 am and we got bad internet directions which sent us to a dead end, to a road that only ATVs can go on. We had to drive back down the mountain and eventually found the right road. We barely made it, but the photos I got there were probably the best of the whole trip. 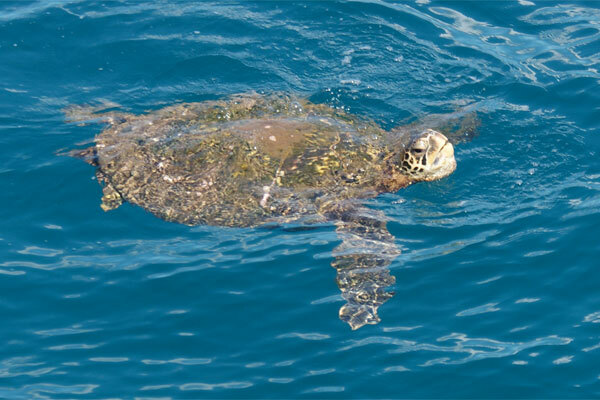 I also really loved snorkeling with the sea turtles. 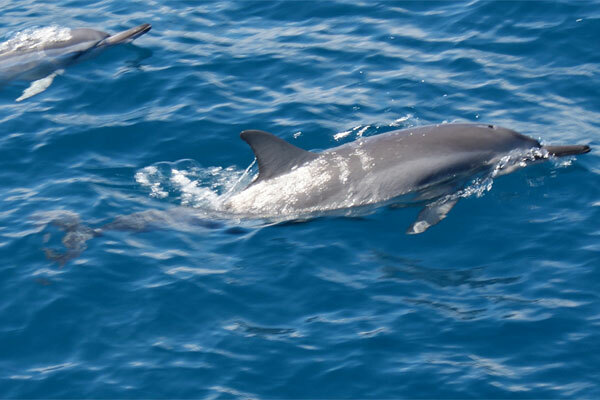 It was so cool to see them up close. One came up for a breath of air only a couple of feet in front of us. We also saw a show called Ulalena – which has been compared to Cirque du Soleil. 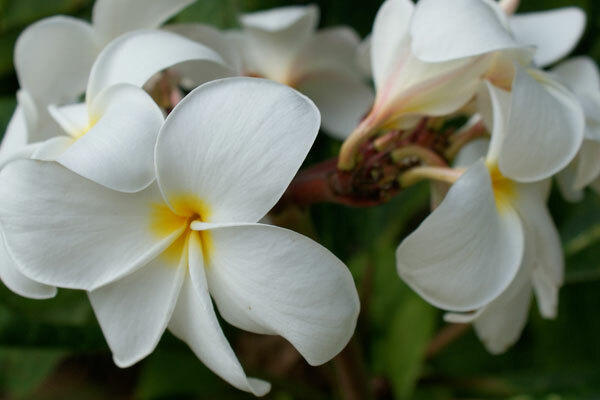 It is the story of how the Hawaiian people came to be. It has great music, dancing and acrobatics. 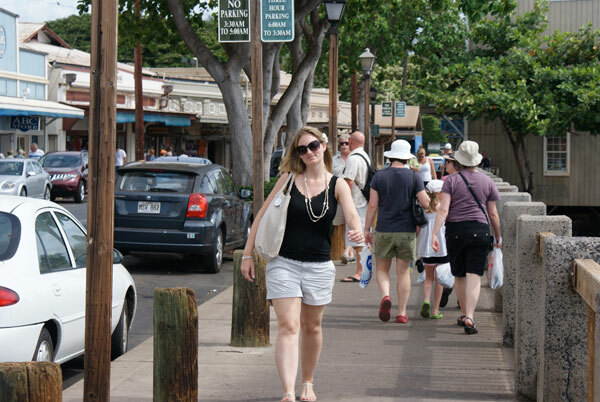 Another place that we really enjoyed was the town of Lahaina, which is known for it’s art studios. It also has a lot of little shops along the water and a banyan tree which was planted in 1875 and is now more than an acre in size. The banyan tree grows very long branches, and when they get to heavy, the branches drop roots and keep growing. It’s hard to explain but it’s one huge tree that looks like a forest all on it’s own. We also really enjoyed the beach in the town we stayed in called Ka’anapali. It was nice because the sand was a lot longer than other beaches.Where we stayed (a studio apartment) if you sat on the bed, the short balcony blocked the view of the sand completely. It felt almost like we were directly over the ocean in our room! When the last week was finally over it was really hard to pack up and come home. We met some other couples in our hotel that were also on their honeymoon. 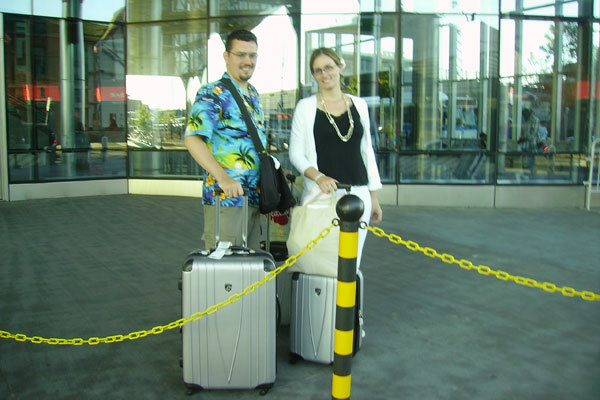 One of them decided to move to Hawai’i they loved it so much. If it wasn’t so far from our family and friends I would totally have been joining them. Hawai’i is heaven on earth! 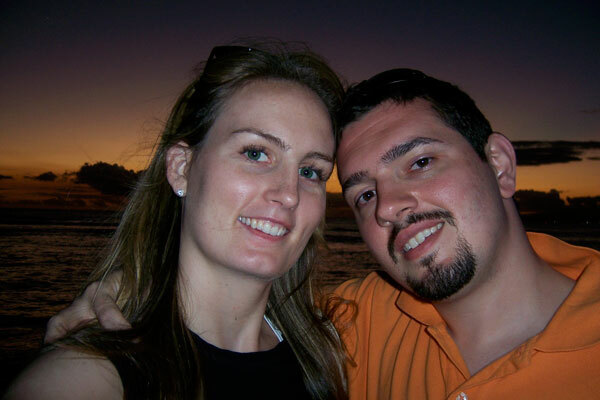 This entry was posted on Wednesday, December 17th, 2008 at 6:22 pm	and is filed under Honeymoon. You can follow any responses to this entry through the RSS 2.0 feed. You can leave a response, or trackback from your own site.